The busy I-270 highway passes by Rockville, Maryland just a few blocks from downtown. 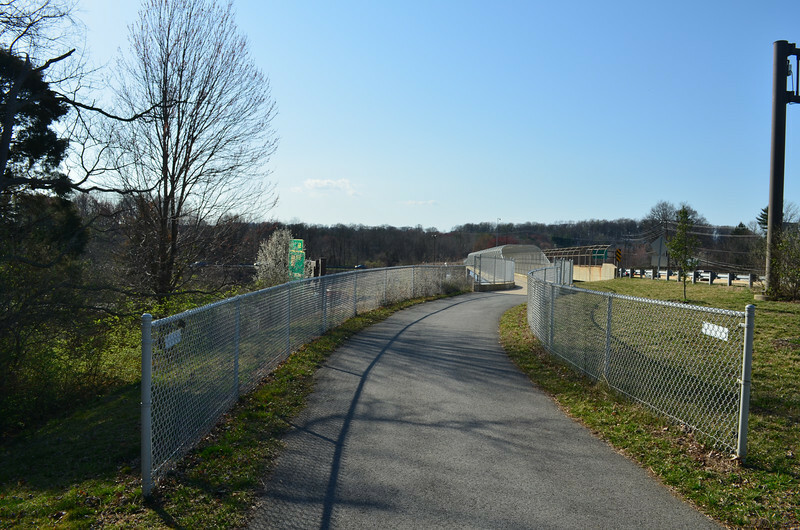 In order to provide a safe crossing over the interstate while providing a critical connection between downtown and the western segment of the Rockville Millennium Trail, the bridge received Transportation Enhancement funding in 2001. In total, $7.54 million was used to build several bridge spans over exit and on ramps to I-270. Of this funding, $3.77 came from the Transportation Enhancement program and the remaining $3.77 came from local sources. The project consisted of several elements. A 4,000 foot trail was built from Darnestown Road to Nelson Street where it connects to the western most end of the bridge. From here, a 50 board walk leads to a 300 and 264 bridge over I-270 on ramps. This continues to a 365 bridge over I-270 where it extends over 13 lanes of traffic below. Once over I-270, the trail continues with 700 feet of approach ramps, new sidewalks, and ADA accessible crosswalks. This project is another great example of how Montgomery County and Rockville, Maryland have built pedestrian and bicycle infrastructure to provide a safe and efficient way for bicyclists and pedestrians to co-exist with the high volume of traffic. The bridge will provide bicyclists the ability to conveniently travel from neighborhoods such as Rockshire and Fallsgrove to other destinations in the central and east part of the City, such as Town Center.